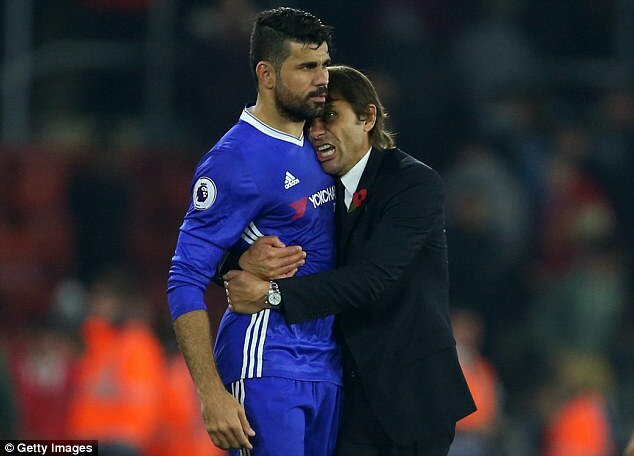 Though Conte has decided to distance himself from the player, Costa insists he still has the backing of his fellow compatriots as he plots a move away from the Premier League holders. He also added that he has plenty of suitors in his kitty as he looks to gain regular first-team football ahead of next year’s World Cup finals in Brazil. “In life there are good and bad people. I’ll stay with the good of everything. You have to ask him, not me. It’s an opinion of the coach, if he has the option of putting another in. But there are things and ways of doing things and saying them. But well, thanks to God I do not lack teams.The most important thing is that my team-mates want me. I get on very well with everyone and that speaks for itself,” he told Mundo Deportivo. Costa become only the third player after Jimmy Floyd Hasselbaink and Didier Drogba to reach the 20-goal mark for Chelsea in two separate seasons, and there is a sense that he may have kicked his final ball for the west London club with Conte already on the search for a suitable replacement. Costa has been linked with a return to Atletico Madrid, but he will not be able to play for the club due to a transfer ban for the next five months.